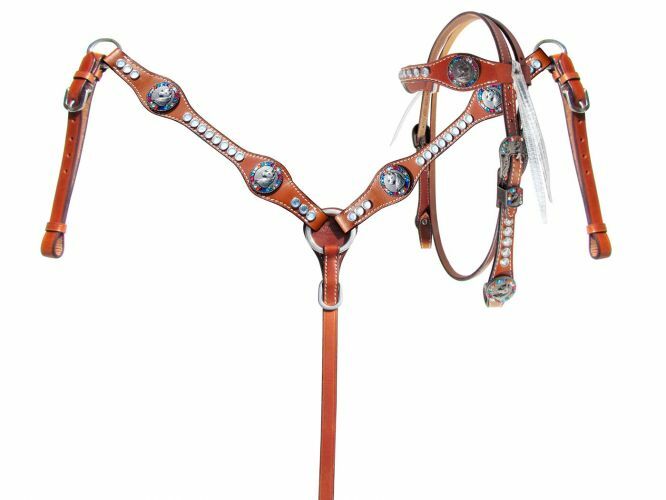 Showman ® PONY headstall and breast collar set with horse head conchos. 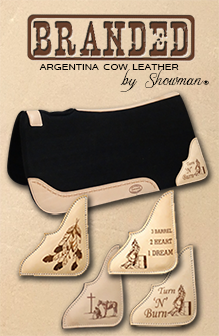 This set features medium oil, double stitched smooth leather with a browband headstall. Set is accented with rainbow crystal rhinestone horse head conchos, crystal rhinestone studs, and buckles. Headstall is accented with metallic silver fringe tassels at browband. Headstall comes with 5/7' x 6ft reins.